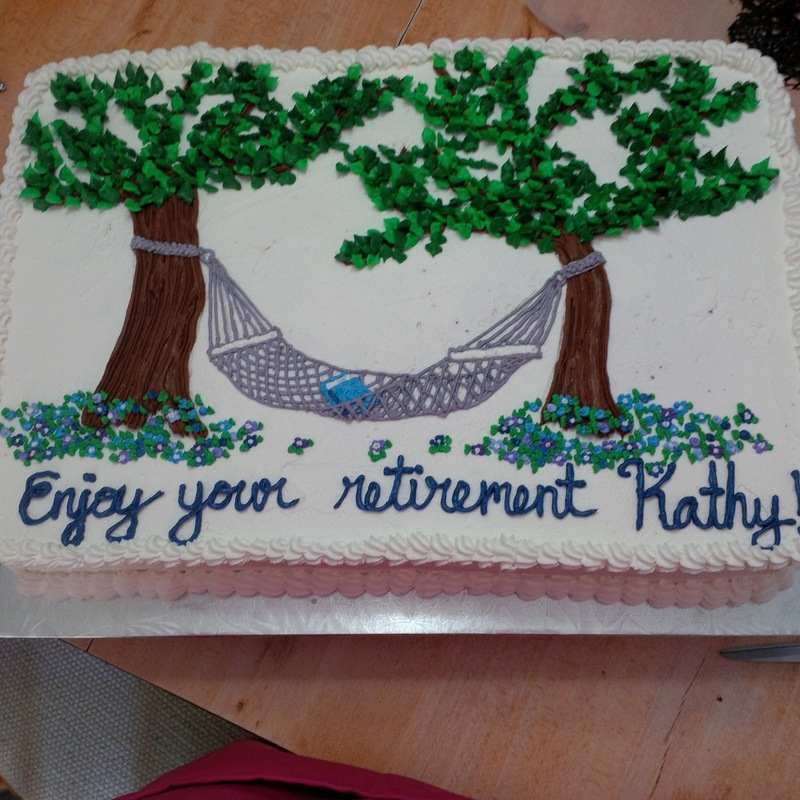 Cakes, Cuppies And Other Confections: Happy Retirement! Everyone deserves a time in their life where they can sit back, truly relax and celebrate all the hard work they’ve done. Co-workers of Kathy wanted to show their gratitude and help Kathy celebrate her retirement with cake! This was a half and half cake. Half vanilla butter cake and half double chocolate. 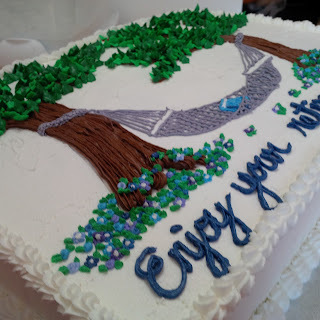 The cake was iced with vanilla buttercream and all decorations were made with coloured vanilla buttercream.